The earthy, green smell of tomato leaves can touch deep memories, filling us with urgent recollections. Likewise, for some people, steam trains raise a surge of aspirational longing, as compelling and beautiful as eternal truth. The sound of a steam whistle, or chuffing engine, reconfigures such a person's cognitive machinery, authoring a mood easily mistaken for nostalgia. Admittedly, there is a touch of that, and sometimes nothing else. But for many steam-train fanciers, something grittier, more esoteric, is going on. As fleetingly as that lonesome whine, they have touched the essence of the human mystery: to be alive, and yet as insubstantial as dissapating steam. 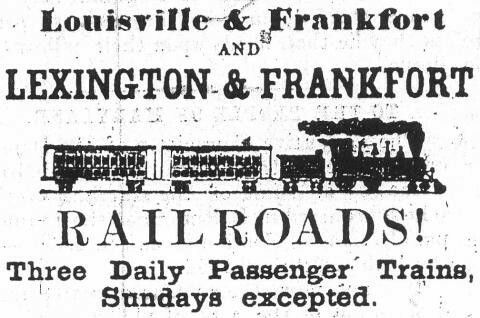 Trains were big business in past centuries, especially in America. See that news clipping above. They were the business enabling most other businesses. They are still big business, artfully so because their importance has receded in notoriety as more notorious enterprises have arisen. Trains have gone from comets to faint stars in American culture, and the steam train is the white dwarf, orbiting well beyond our home galaxy. Centuries from now, automobiles might replace the iconic train. Nothing of cars will be remembered except their shapes, steering wheels and horns. Their operation and dangers will be lost in history's summary, as has happened with steam engines. People of the future might reel at the thought of 2500 gallons of flammable liquid hurtling past each minute, just as we are horrified to learn the safety record of steam. Will they strive to know us by grabbing a gearshift? Watch the caboose slide show. 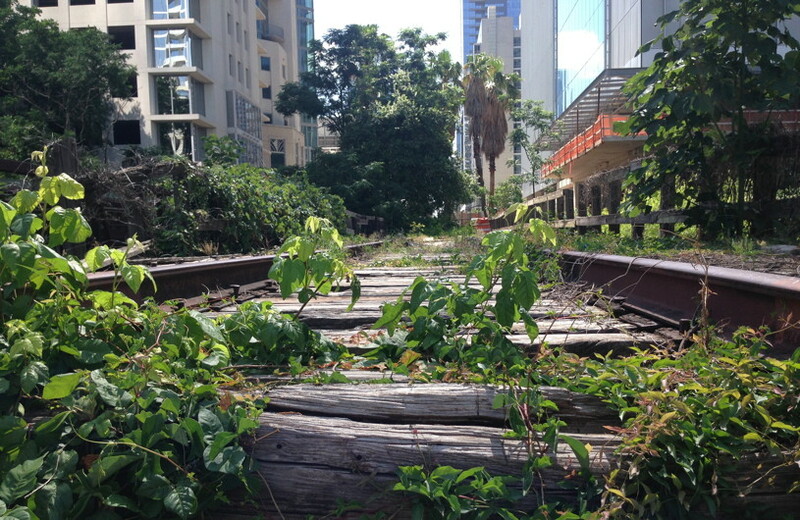 What did it feel like to be one of those early railroad workers, navigating the threats of their sic transit gloria mundi? That itch to explore the old steam culture is an attempt to know the intrinsic center of a past human experience, one that was survived, as we hope to survive ours. Steam trains were behemoths, grand machines, theory adapted to reality through estimations, workarounds, and the bespoke jiggering of knobs and levers. The engineer operated an Olympian assembly of cast iron, tubes, wheels and gears. It was equivalent, he was told, to about 3000 horses, give or take. 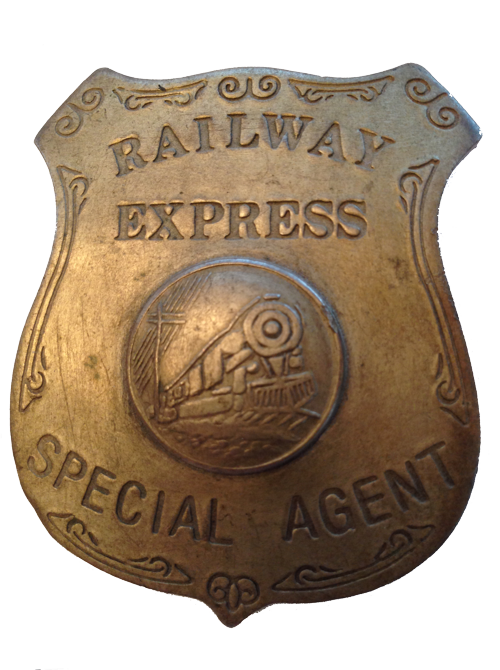 Railroaders sometimes disdain engine ratings. The equations and their myriad uncontrolled variables can overwhelm, and those who don't understand them are loath to admit it. We all recognize that impulse, so we are off to a good start in discovering ourselves in those old railroaders. When railroading was young, standing on the footplate (that's what railroaders call the floor of the engine cab), and considering the complexities of the beastly locomotive, the concept of 3000 horsepower must have been exhilarating. It would have conjured a literal image of 3000 horses, the most ubiquitous creature in society. Horses were everywhere, in twos and fours and even more. But three-thousand-horse teams caressed the infinite. Implied was some kind of harness apparatus, hitching mechanism, and feeding regimen. Think of all those reins. And manure. Yet, here was a 3000 horsepower locomotive. The danger was paramount. Boilers exploded. 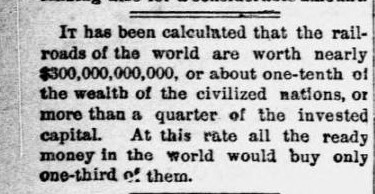 Mark Twain's brother had been blown up. Nineteenth century engineers lived with locomotive accidents, and the grotesque number of lame and dismembered railroaders. Those ancient, disinterested machines had enormous lethality. Yet, human beings, like ourselves, routinely jumped onto them, and drove them all around the country. We long to know those people by knowing what they actually did. We have a century of context separating us, but we can almost replicate their actions. We can almost touch their experience. The literature about driving steam trains is disappointing, a lot of abstract, metaphorical word noodling. We don't find much about what actually happened in the cab, or in the caboose, or at the brake controls. Still, there is some. 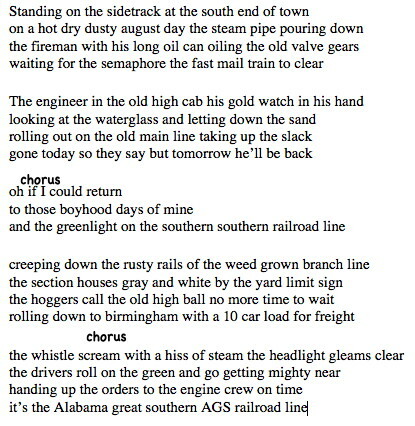 A good place to start is that song at the top by Tony Rice, "Greenlight on the Southern." Almost every line has a nugget of train lore. 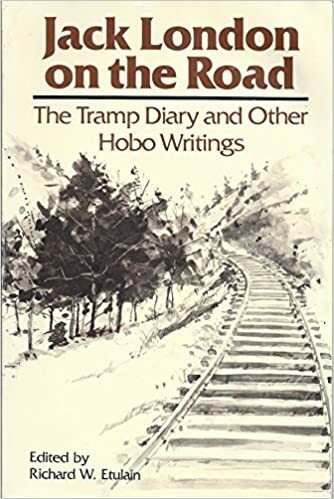 The first reminds us the railroad yards were Lyrics to Greelight on the Southern on the "south end" of town, easily understood as the low-rent district. "Steam pipe pouring down," probably refers to the "blow-down" performed to clear accumulating scale from the boiler, and sometimes to chase the spectators away. We see the fireman walking through his pre-trip checklist with a long-necked oilcan. We learn about the system of signals, called the semaphore, alerting train crews, in the pre-radio days, of "clear" tracks ahead. In the next stanza the engineer consults his watch, schedule being a matter of life and death. The waterglass shows the level in the boiler, also a life-and-death matter. 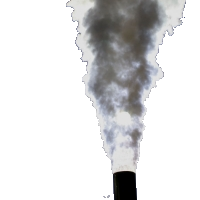 If the water fell below the crown head, where the boiler meets the fire box, the boiler would explode. "Letting down the sand," refers to dropping sand on the track from the sand dome, to increase traction so the drive wheels wouldn't slip. "Taking up the slack" was analogous to letting out the clutch on an automobile. There was just enough slack in the couplings to allow each car to lurch forward independently, with the engineer adjusting the throttle for the added weight without causing the wheels to slip. We even get a glimpse of the inner life of the train crew, rolling from the sidetrack onto the dangerous mainline, with the full expectation of coming back soon. The chorus is the singer explaining himself. His nostalgic lament emphasizes the lyricism of the rest of the song, and the hope it might channel him into the souls of those long-gone train crews. The next stanza surveys the train yard, section houses where the workers lived, the less-used side rails, and the border between railroading and town. An engineer was called a hogger, perhaps because the locomotives had once been called hogs. Calling the highball was the engineer's signal to the crew that they were cleared to proceed. We even get the length of the train, short by modern standards. 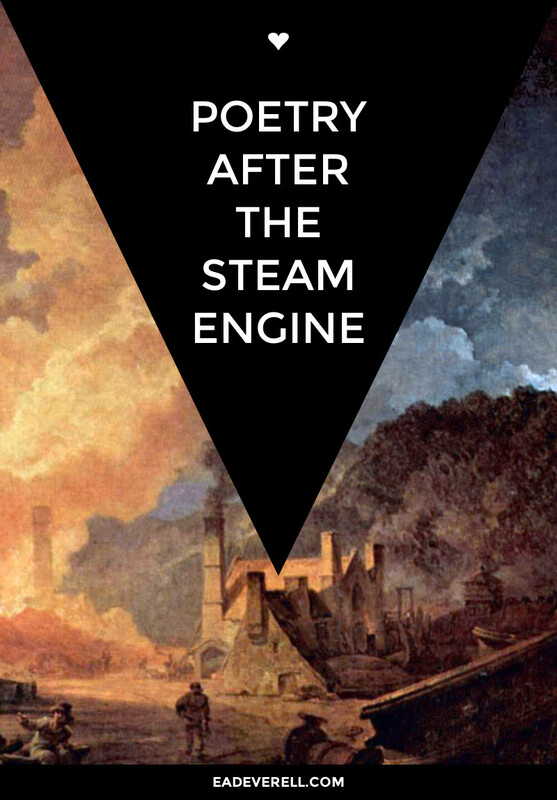 In the last stanza we get to the whistle and the headlight, idols of the steam era. Green lanterns meant go, orders were handed up to the engineer in the cab, and at the end we get a plug for someone's favorite railroad company. Pretty good history lesson from a pleasant melody. For a better understanding of the art of driving a steam locomotive, let's consult someone who actually did it. Here is an account posted to the website www.trainorders.com in 2002 by someone called MTMEngineer. This is probably as close as we'll get to understanding what it feels like to drive a steam locomotive. Thanks, MTMEngineer, for that marvelous lesson. 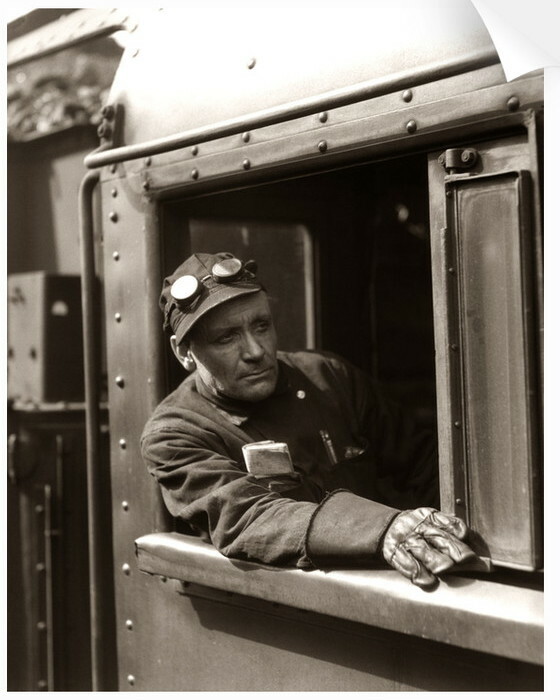 Still, we don't quite enter the experience of those 1900 era trainmen, who didn't have radios, coordinated air brakes, and other modern conveniences, like plumbing. An important detail in the above description is the Johnson Bar. It's a long-forgotten relic of the steam days that never shows up in movies and books. In popular tellings there is a throttle, maybe some brakes, a little shoveling, and a whistle. The Johnson Bar was a dangerous appliance, largely phased out and automated in modern steam applications. It controlled the piston-steam cycle, and is analogous to the spark-timing on a gasoline engine. It was a lever that locked into place at various "notches" to determine when in the cycle to inject steam into the cylinder. Pushing it forward maximized steam injection for forward motion, centering it withheld steam, stopping the train, and pulling it back reversed the direction of the stroke. It is sometimes referred to as the reverse lever since it was used to back the train. It was set to different positions depending on the stage of acceleration or deceleration, and its setting determined the power and efficiency of the engine. Railroad companies specified the desired cruising position of the Johnson Bar to maximize efficiency, and this was commonly called the "company notch." Why it was called the Johnson Bar is disputed, and we've found no authoritative account. Much is written about trouble with the Johnson Bar. Since it connected directly to the engine stroke, it was under tremendous pressure during operation. Releasing it to change notches required caution, skill, and strength. Broken bones made it as notorious as the crank on a model T.
By the way, let's not forget steam trains were once the world's controversial technology, even more disruptive, and just as vehemently ridiculed, as today's electronic jeejaws. 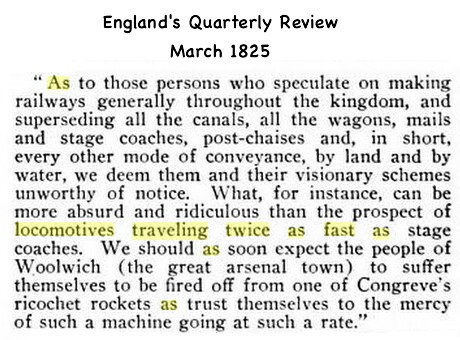 It's been almost 200 years since England's Quarterly Review tried bulwarking against their hell-bent approach. Trains have produced some excellent songs, and we've included a few here. Besides the wonderful "Greenlight on the Southern," be sure to listen to Doc Watson on "Greenville Trestle." Unlike Tony Rice, he doesn't show us the train operation, but reminds us why old men try so hard to bring back their train memories. We also have two versions of "Waiting for a Train," Jimmy Rodgers' tuneful hobo lament. 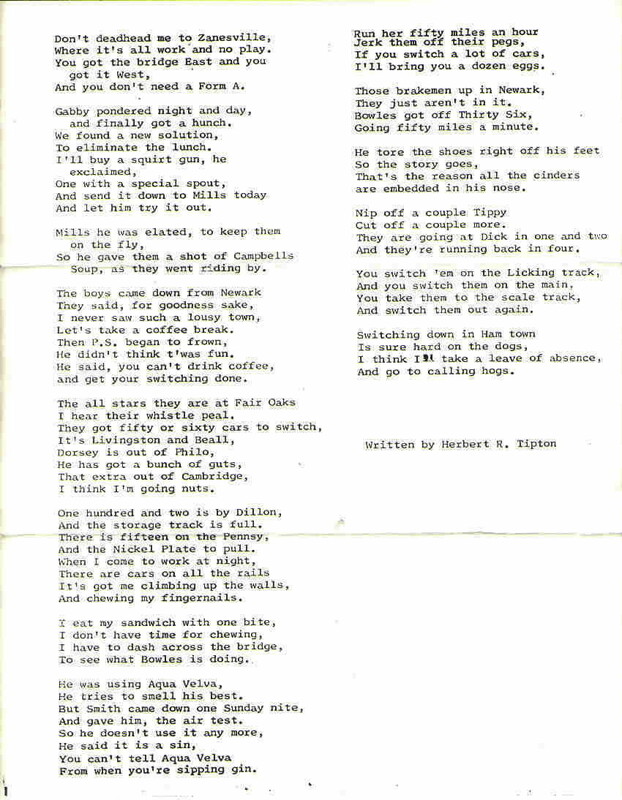 Hobos figure prominently in train songs, including Tom Paxton's defiant "Ramblin' Boy" (reprised behind the epigraph below, in its 1964 form), and Arlo Guthrie's "Hobo's Lullaby." The others, by Joan Baez, Leadbelly, and a return of Tony Rice and Arlo, tell us about the experience of seeing a train, or, with Arlo, being a train. At the bottom you'll find a few videos about driving steam trains. There is a literature of trains, but it is pretty skimpy and unfulfilling. 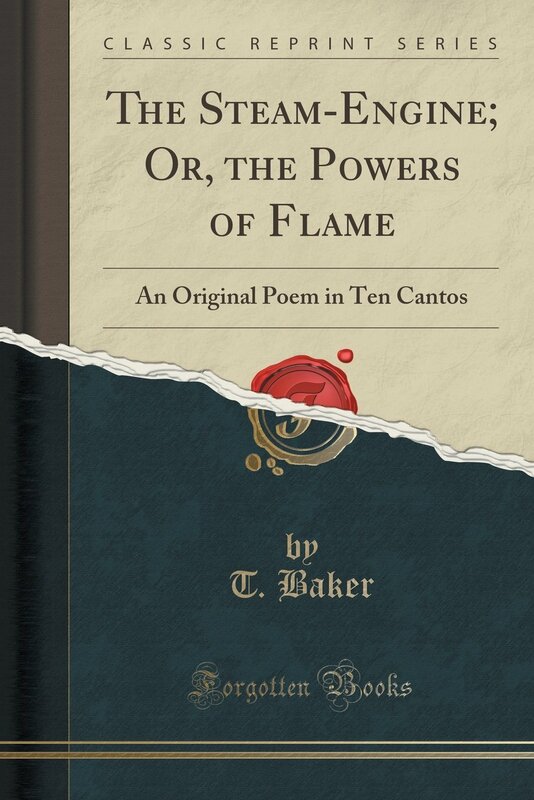 We've found some poetry, but, like many subjects of routine human experience, it has produced little of what we might call "major" poetry, except for Emily Dickinson (and "Something Special" below). That said, here is some, along with an early opinion on the value of a specific train poem. In 1857 the scholarly view was that trains weren't really the stuff of great art. That's still the scholarly view, and maybe the reality, but they sure are the stuff of being human, which is an art in itself. "Switching Cars in Zanesville" was written by Herbert R. Tipton and set to music and sung by Cliff Jinks. You can read more about that at this link, and you can watch Cliff perform the song in the bottom video below. I'll bet you a dollar, he's ramblin' there. Who in the world cares about trains?